Start your Saturday morning in nearby Fremantle; if locals tell you you’re in ‘Freo’, you know you’re in the right place. It’s here you’ll find a (more than) 100-year-old institute; the Fremantle Markets. Since 1897, the Fremantle Markets have been the destination for locals buying their fresh produce, although these days you’ll find everything from opals to artisan soaps, jewellery, leather goods, arts and crafts, and souvenirs. Then there’s the plethora of food options to tempt you, so grab yourself a fresh coffee and source yourself a delicious market breakfast; you’ll need it for the big day ahead. It wouldn’t be a trip to Perth without visiting Rottnest Island and its most famous residents; the smiling, adorable quokkas. From ‘Freo’, catch the ferry to ‘Rotty’ (by now you’re probably used to Aussies shortening everything); it will take about 45 minutes. The island is characterised by its stretches of white sand glistening against the clear turquoise waters, and is the perfect place for a swim or snorkel. If you’d prefer to stay dry though, there are endless activities to choose from, whether you want to relax in a day spa, book a boat tour, or hire a bike and explore on two wheels. 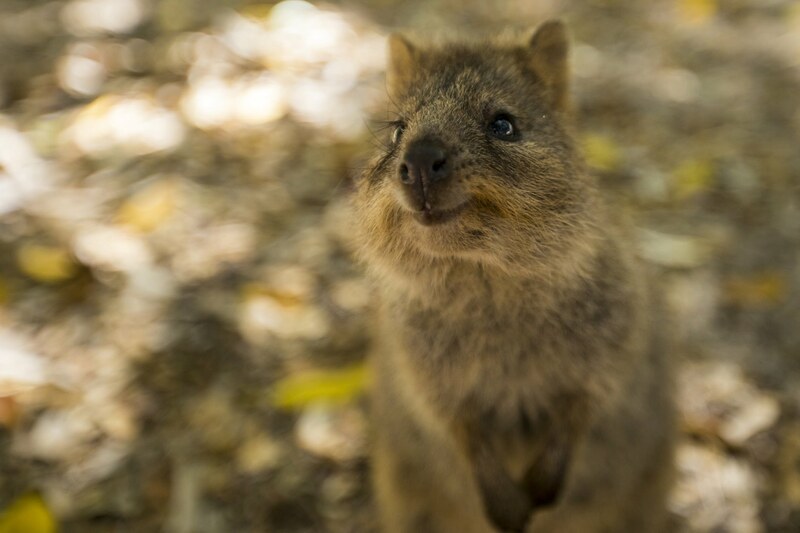 And of course, you can meet the ‘happiest animal on Earth’; quokkas are a native marsupial that look like a large, brown rat, with a beaming smile on their face. Quokkas here are surprisingly tame, and visitors can often snap up a #quokkaselfie, but remember they are wild animals, and you’re not allowed to feed them. Finish off your visit by dining on some fresh seafood in one of the many restaurants on the island; it doesn’t get much better than looking out across the ocean, a glass of local wine in hand… bliss! Catch the ferry back to the mainland and make your way to the trendy suburb of Leederville; this leafy, quirky strip is home to some of Perth’s best restaurants and bars, and you’ll find cuisine all around the world in this tiny suburb. Eat pho to your heart’s content at Three Sisters, indulge in authentic Italian pasta at Pappagallo, devour South American street food at The Blue Flamingo, or enjoy Spanish share plates at Pinchos Bar de Tapas. Finish the night with a cocktail at The Garden or Niche Bar. Coffee calls from Perth’s premier waterfront precinct; Elizabeth Quay. Sitting on the banks of the Swan River, fuel up with coffee and breakfast at Rubra on the Swan, and admire the plentiful public art in the area. From Elizabeth Quay, wander past the Perth Exhibition and Convention Centre and you’ll soon find yourself in the the biggest urban garden in the world. 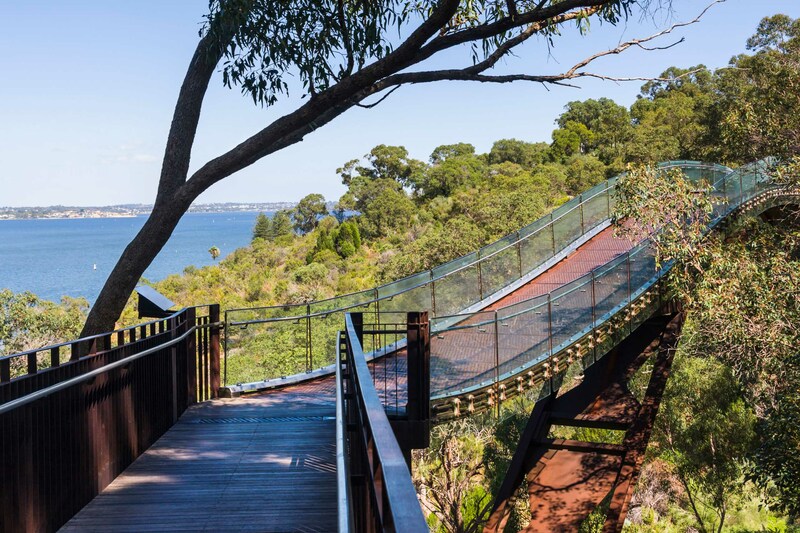 Even bigger than New York’s Central Park, King’s Park in the heart of Perth’s CBD is a 400-acre urban oasis and the perfect place to see some of Western Australia’s native flora; more than 3,000 specimens are on display in the Western Australian Botanic Garden. 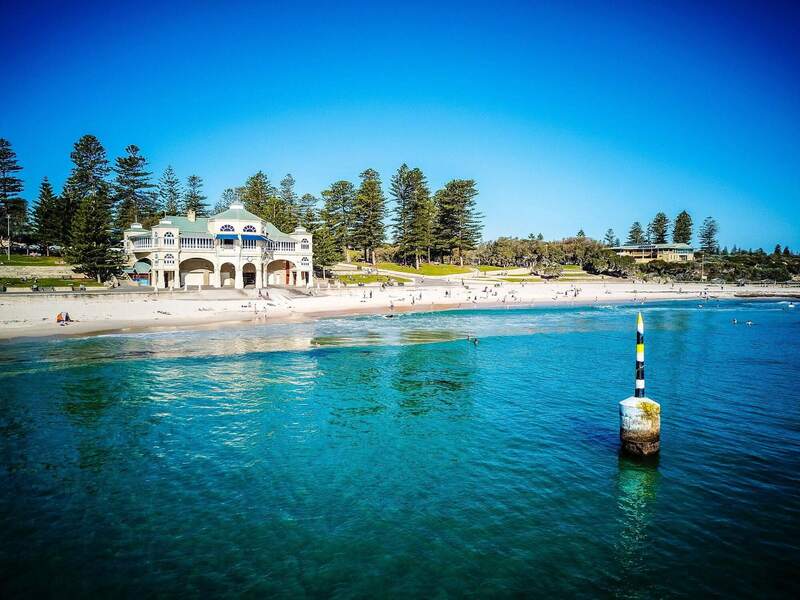 Locals will swear that Perth beaches are better than any others in Australia, so find out for yourself whether this claim holds true with a visit to Cottesloe Beach; a kilometre stretch of perfectly white sand surrounded by impressive Norfolk Pines. Swim, snorkel or surf in the blue waters, before taking refuge at the Cottesloe Beach Hotel for a well-earned lunch, or pack a picnic and scope out a spot on the grassy Cottesloe Esplanade. If you’re still here in the late afternoon, get ready for the sky to blaze in a fiery pink as the sun sets over the Indian Ocean. Back near the CBD, the uber-cool inner-suburb of Northbridge will tantalise you with irresistible aromas wafting from Little Chinatown along Roe Street; in fact, there are more Asian restaurants operating here than there are in Perth’s official Chinatown. Dumplings, Korean BBQ, Malaysian curries, hawkers; the choice is yours! If you’re visiting this west coast heaven, make sure you pre-book your Perth airport transfer from Perth Airport before you arrive to ensure a smooth transit to your hotel. 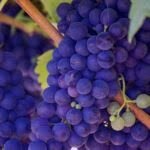 Jayride.com works with lots of local Perth airport transfer companies, from shared shuttles to private cars, to suit your travel style and budget. The island is characterised by its stretches of white sand glistening against the clear turquoise waters, and is the perfect place for a swim or snorkel.